Some 70% of third-generation Hispanics in the United States say they feel connected to their Hispanic heritage, and more than half say their background is an important part of their self-identity, according to recent research from Yahoo. 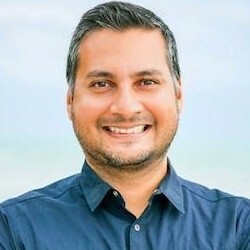 The report was based on data from a survey of 457 third-generation Hispanics in the United States, as well as data from consumer focus groups and in-depth interviews. 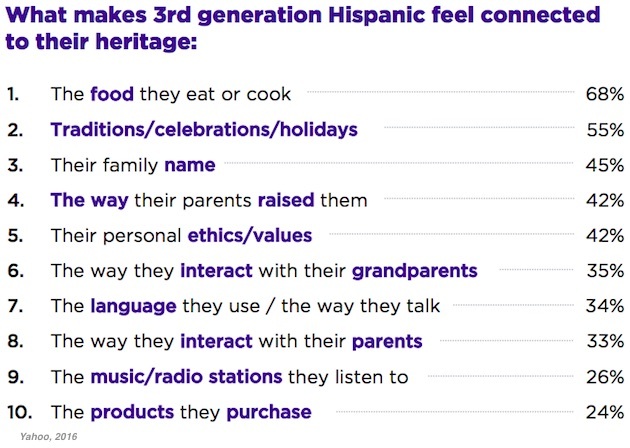 Third-generation US Hispanics say the top things that connect them to their heritage are food (68% cite), traditions (55%), family names (45%), and family values (42%).